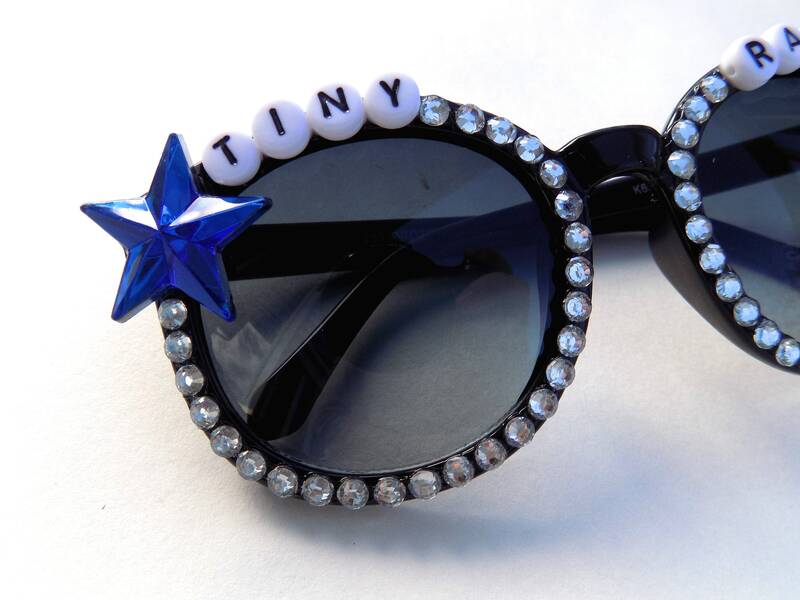 Adorable sunglasses for your tiny rager! 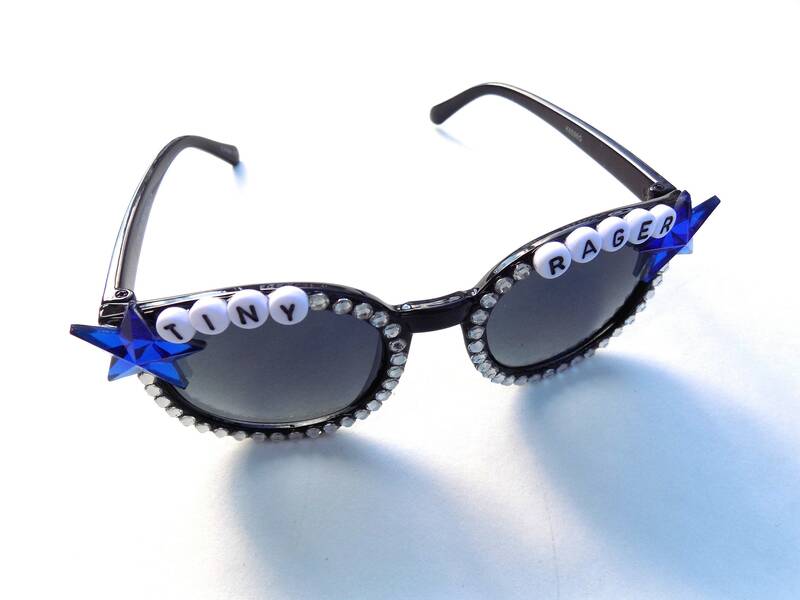 These children's frames have been decorated with the words "Tiny Rager" and a blue star on each side. 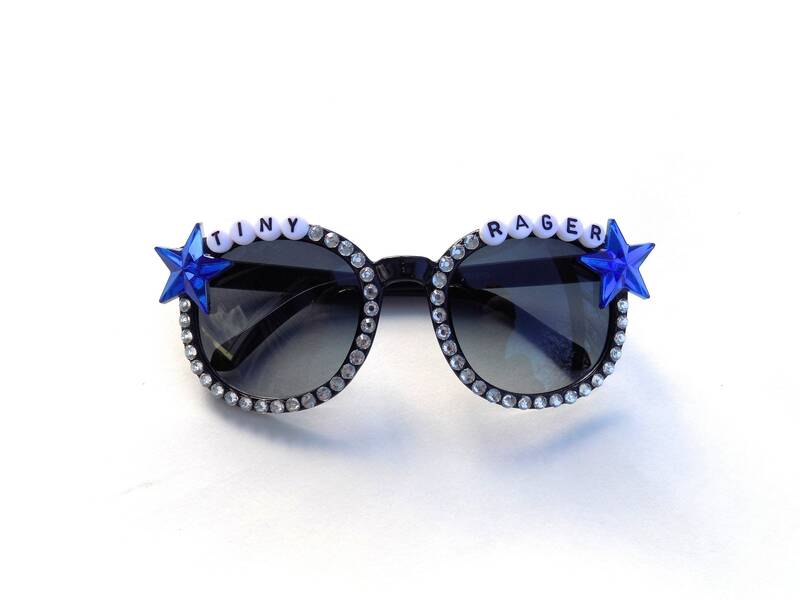 Rhinestones completely encircle each lens. All decorations have been fastened securely using industrial strength glue. Finally your little one can rock out in their own Baba Cool!